Egyptian President Abdel-Fattah al-Sisi on Tuesday called for lifting the seven-year-long UN arms embargo on the Libyan army. 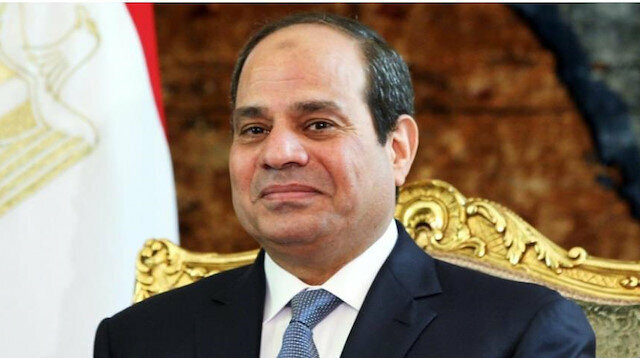 Al-Sisi issued his appeal at a gathering of foreign media figures held on the sidelines of the World Youth Forum now underway in the Egyptian city of Sharm el-Sheikh, according to Egypt’s official MENA news agency. "We demand that the [UN] embargo on arming the Libyan army be lifted, even partially, to allow it to strengthen its capabilities," al-Sisi said. He went on to assert that non-state "armed militias" should play no role in ensuring the region’s security. "We support the Libyan army as the national army authorized to maintain order and security," he said. "The continuation of Libya’s current situation will only attract terrorist elements, which will ultimately serve to threaten Libya's neighbors," he added. In March of 2011, the UN Security Council adopted Resolution 1970 imposing an arms embargo on Libya by all UN member states. Libya has remained dogged by turmoil since 2011, when a bloody NATO-backed uprising led to the ouster and death of long-serving President Muammar Gaddafi after more than four decades in power. Since then, Libya’s stark political divisions have yielded two rival seats of power -- one in Tobruk and another in Tripoli -- and a host of heavily armed militia groups of divergent loyalties.